The digital thermometer within the instrument binnacle is showing –21deg C. Factor in the stiff north-westerly wind blowing in off the Arctic Ocean and it is scarily, painfully, life-threateningly cold. But from where I’m sitting, life couldn’t be any more pleasant. 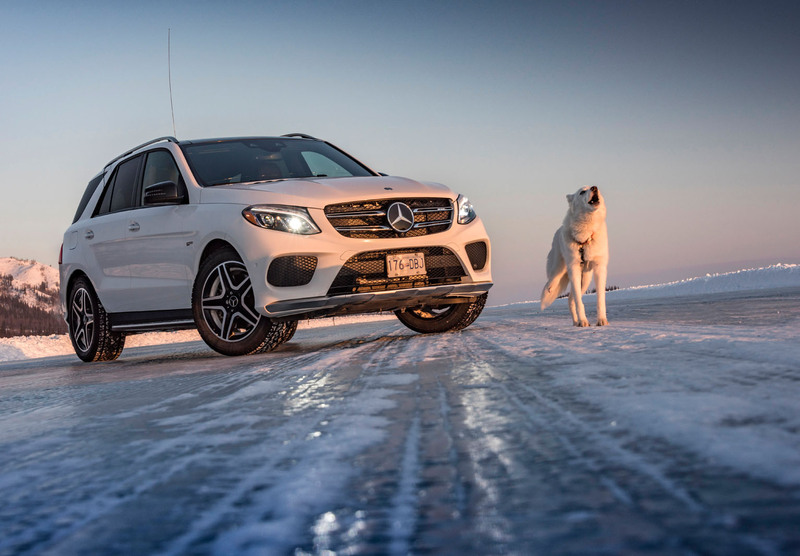 Perched high on a heated quilted leather seat with a warming current of air being directed to the footwells of our Mercedes-AMG GLE 43, we’re driving along what, at certain times of year, is the only road that connects the towns of Inuvik and Tuktoyaktuk in northern Canada. Except that it is not a road at all – not in the traditional sense, anyway. In the later spring, summer and early autumn, it is a huge river delta whose vast waterways draw in tourists for kayaking and boating adventures in one of the most remote parts of the North American continent. During the winter months, though, the river freezes to form a layer of ice that is then prepared like a huge meandering skating rink, creating a frozen highway that locals around these parts have come to call, for want of a better name, the Ice Road. Thrust into public consciousness by the reality TV series Ice Road Truckers, the frozen road, which in parts also runs through the tundra permafrost and over frozen sections of the Arctic Ocean, has long played a role in connecting remote communities in Canada’s isolated Northern Territories, providing a vital transport route for multinational oil companies and diamond mines as well as the Canadian army. 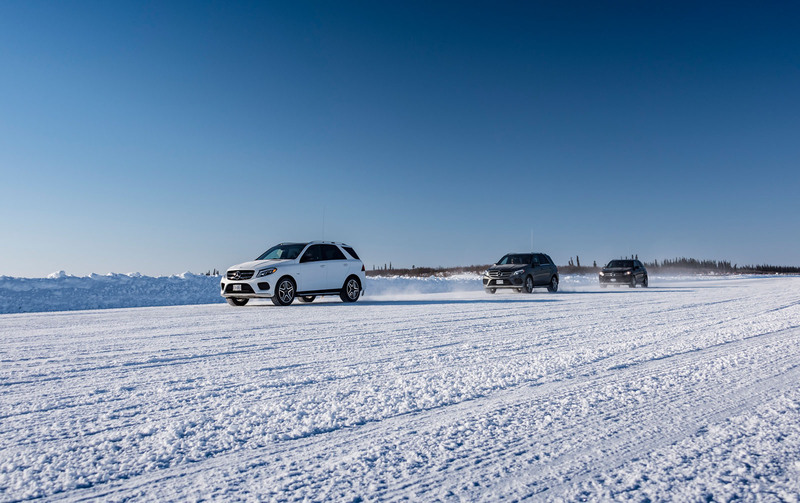 An extension of the land-based Dempster Highway beginning on the outskirts of Inuvik, the ice that forms over the Mackenzie River each winter has traditionally been prepared for a distance of 114 miles, ending on the entry to the town of Tuktoyaktuk. As we prepared to set off, the biting cold brought the reality of our Ice Road journey into focus: wiper blades were frozen to the windscreen and the brake calipers were locked solid when we got to the GLE 43, which required a good bit of idling before we were confident its engine, gearbox and brake fluids were sufficiently warmed to tackle the task ahead. Our plan is to travel in convoy with a GLE 400 and, just in case things should go horribly wrong, a G500 recovery vehicle. The three Mercs stand out among the hulking great pick-ups that line the hotel car park. Earlier over breakfast, locals had recounted tales. 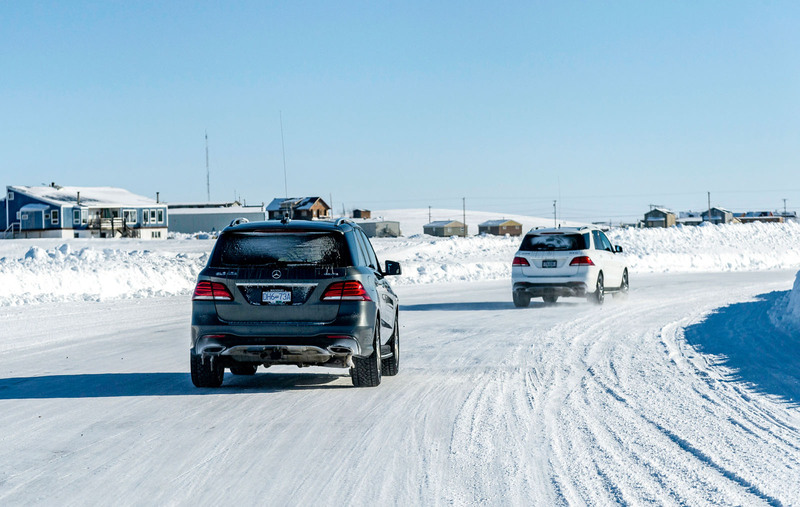 It seemed everyone we met in Inuvik had their own experience of the Ice Road to share. Jack, a former oil rig worker, told us his Chevrolet Impala once broke down 20 miles out of town on his daily commute to the Imperial Oil plant. Now 68, he recalled how he nearly froze to death before help arrived: “An oil line in the engine bay froze and split, leaving me stranded in the middle of the night. Frostbite got me. It was a close thing. Without a radio, I wouldn’t be here today.” With a poor mobile phone signal, a two-way radio is pretty much the minimal piece of equipment required by drivers on this road. Crunching along the snow-strewn streets of Inuvik leading to the start of the Ice Road, we spot a sign that warns of swimming at your own risk. It’s a reminder that the town, with a population of just over 3000,is a vastly different place in the summer months, when the Mackenzie River delta swells with water from melting ice and the local airlines are kept busy ferrying adventure-seeking tourists here from the south. Not that it is an easy place to get to: our journey to Inuvik involved five flights in total. The Ice Road demands your respect. It’s not a place to let your mind wander for too long. A lot of it is straight. And although there is an occasional curve, they’re all fairly gentle affairs requiring very little in the way of steering lock. When you get out of shape, the best recovery action seems to be a handful of opposite lock and gentle application of power. The generous width of the ice, which in places is the equivalent of a six-lane highway, permits you loads of time to react. While the snow lining the road doesn’t look too threatening, it is often backed by thick slabs of unrelenting ice. Our destination of Tuktoyaktuk, on the shore of the Arctic Ocean, is one of the northernmost towns accessible by car anywhere on the planet. Once an important army base, it became a strategic centre for the oil and gas exploration of the Beaufort Sea following the oil embargo of the early 1970s. Petroleum giants such as Imperial Oil brought great prosperity and employment to the region, with the establishment of colossal drilling plants and associated infrastructure. When we stop and get to examine the Ice Road up close, we notice some rather large fractures and ridges. 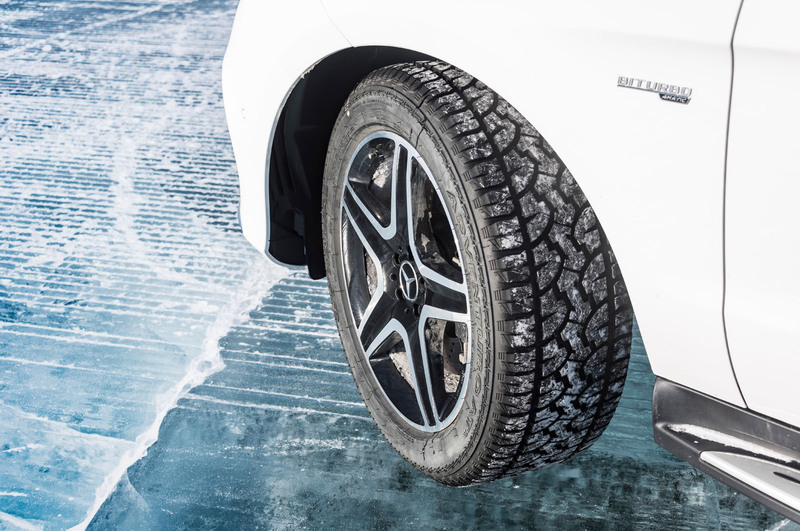 But with a thickness of up to 1.5 metres in places, the frozen river surface is stable enough to support trucks up to 40 tonnes. And it doesn’t take long before an articulated lorry fires past in a cloud of dusty snow. When they do, the ice sinks subtly into the water below as it reacts to the added weight in what the locals describe as an ice wave. The thought of the next section of ice cracking up and swallowing you and your car whole never really leaves your mind, despite the assurances of the locals. To ensure the safety of those who use the Ice Road, the local authorities regularly monitor its thickness with sonar devices placed in trailers towed behind their standard-issue Chevrolet Blazers. The thickness of the ice sheet determines the vehicle weight permitted on any given day and the limit is posted on road signs. It is a bizarre feeling to be barrelling along on ice at close to three-digit-km/h speeds for hourson end. Early on, each overtaking manoeuvre is a buttock-clenching moment, knowing that, even with the brake pedal mashed into the firewall, it’ll still be 100 metres or so before we manage to pull up. When we reach Tuktoyaktuk, we discover a town that has clearly seen better days. The local restaurant is shut. The only hotel, the Tuk Inn, is boarded up. The petroleum-seeking multinationals, which once stationed more the 10,000 workers here at the height of the oil boom, are all long gone. And so, it seems, is the soul of the place. I discover abandoned cars, derelict homes and the rusty ruins of ships frozen solid in the ice. The only modern-looking building of any prominence we find is the local Royal Mounted Canadian Police station manned by a friendly chap by the name of Nic Brame. “It’s a quiet place, but it does have its moments,” he says. “Last summer, two polar bears wandered into the township. We had to shoot at one of them.” Up until now, the town was isolated in the milder spring, summer and autumnmonths when the Ice Road thaws and supplies have to be flown in to keep the town, with a population of around 800, functioning. For those living in this remote community, winter was the only season of true freedom. 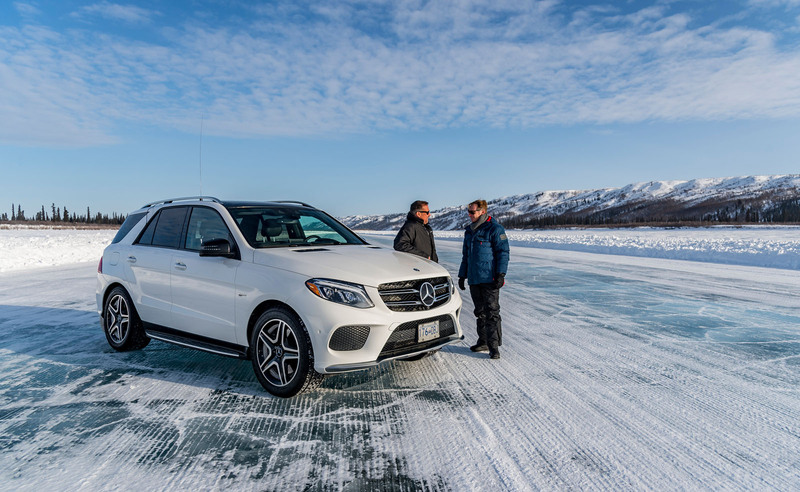 The start of winter means a freezing of the Mackenzie River and a chance to use cars to visit relatives, buy supplies and feel connected to the wider world. For tourists like us, the winter provides a unique adventure. It’s one thing to see the Arctic Ocean, quite another to drive on it. And yet, the Ice Road won’t be forever. A new land-based road across the tundra opened recently, providing an all-season alternative to the Ice Road and threatening to make it obsolete. However, the locals we spoke to suggest the new permanent $300 million all-weather road may not be quite the alternative government authorities would have you believe. When we finally make it back to Inuvik late in the evening after a drive back along the Ice Road under an incredible sunset, we learn there are now plans to keep parts of it open through 2018 and beyond. Like the Ice Road, life in the Arctic is nothing if not unpredictable. After five flights, our man Greg Kable reached Inuvik, the start his adventure on the Ice Road. From there, he headed north to the coastal town of Tuktoyaktuk, a distance of some 114 miles. THE MOST EXTREME ROADS... WHAT NO M25? FASTEST - How fast is the fastest road? Well, how fast do you dare? Germany’s autobahns – the unrestricted sections, that is – take the title for fastest roads in the world. The vast majority of drivers travel under their car’s top speed, mind. LONGEST - At nearly 19,000 miles long, the Pan- American Highway is the longest road in the world, albeit with a 99-mile gap to make way for swampland and rainforest in Panama. It stretches from Prudhoe Bay, Alaska, all the way down to Ushuaia in Argentina. MOST TWISTING - It’s no Stelvio Pass, but Lombard Street in San Francisco has the densest collection of hairpin bends in the world. The street is just under 126 metres long but has eight hairpins. Do not attempt at speed. MOST DEADLY - The 39 miles of Yungas Road – also known as Camino a los Yungas or Death Road – claims the lives of around 200 people per year. The cliff-top road, which connects La Paz with Coroico in Bolivia and is the subject of many documentaries demonstrating the dangers it presents to motorists, isn’t to be taken lightly. Plenty of school run parents get their Mercedes SUV stuck in 1 inch of snow. Why? Because they went for 20 inch road tyres. Yet Greg never mentions his vehicle had ice tyres fitted... Interesting article but by leaving out the technical stuff it means SUV owners think they can go anywhere yet then get stuck whilst I go past in my hatchback and winter tyres! That is quite some article. I still won't be driving on an ice road. Driving through these sorts of terrain actually proves the stability and performance of an SUV. The review given here about this drive again proves the trust of owning a Mercedes. This brand never fails to surprise us.